Laboratories that always offer that little bit extra. AGROLAB GROUP is Bavarian winner of the competition for medium-sized enterprises "Grand Prix of the middle class". The 4,796 nominated companies of the competition are representing the socially committed growth elite of the German medium-sized enterprises. Working at AGROLAB means: high individual responsibility, strong team spirit, free development. 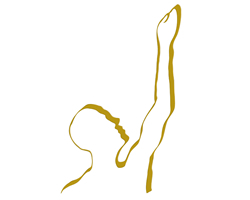 If you are conscientious and have a high sense of responsibility, we would be happy to meet you. We always require scientists, chemical laboratory assistants and marketing staff to strengthen our team. 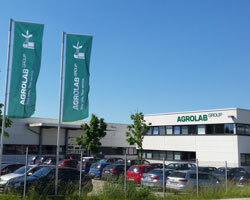 The AGROLAB GROUP is a laboratory group that is active all over Europe with about 1500 employees in 20 branch offices. We offer analyses in the fields of agriculture, environment, water and food products. In these fields, we are proud to call ourselves the European market leader in terms of cost-effectiveness. Customers appreciate our reliable and rapid analyses and our excellent service. We are only satisfied when you are! Our tireless commitment to delivering reliable results and meeting deadlines makes AGROLAB special. Since its establishment, AGROLAB stands for excellent service in all aspects of analysis. Competent contact persons, free additional services and more. AGROLAB stands for excellent service. Rapid, inexpensive and professional sampling by AGROLAB - please ask our staff. Material for sampling and collection of the samples. Rapid, easy and Europe-wide. Our online portal simplifies and accelerates the processing of your analysis. Get more information now.